Kanban is a popular agile PM method. This new tutorial video explains how you can work with this method in InLoox PM 8. Based on lean and just-in-time production, Kanban is an effective tool to visualize the workflow and efficiently complete tasks. This can be done even if you have not set a clear timeline for your project yet. Not only can you create and assign team tasks and sort them according to their progress (to-do, in progress, done) in InLoox PM 8 , but also integrate them into an existing or new project schedule. Learn how to add work packages to activities or even turn one into an activity in the schedule plan with this video. 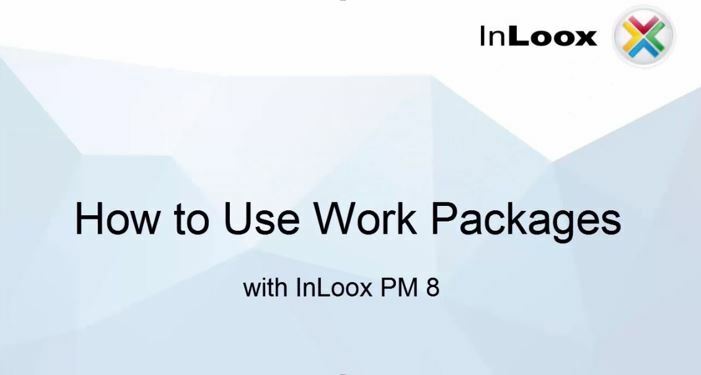 Video Tutorial: How to Use Work Packages with InLoox PM 8 - InLoox • Copyright 1999-2019 © InLoox, Inc. All rights reserved.